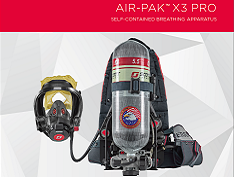 The Air-Pak™ X3 Pro SCBA is built on a proven foundation of redundant safety features to ensure the security and comfort of today’s firefighter. Combining advanced material selection for water repellency with an easy-to-remove harness, the Air-Pak X3 Pro may be cleaned after use to help reduce contamination. A new shoulder harness design improves the ease of donning and minimizes pressure points to help reduce user fatigue. A naturally articulating waist pad promotes greater range of motion to the user, while transferring weight to the hips for a more balanced load. Offering enhanced electronics with Bluetooth® technology, the Air-Pak X3 Pro supports wireless connectivity between devices for improved configurability, data transmission/retrieval, firefighter safety and fireground accountability. 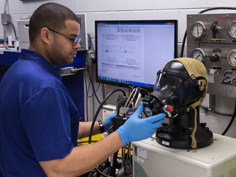 Integrated RFID tags provide local storage of SCBA information that can be wirelessly interrogated for asset tracking. 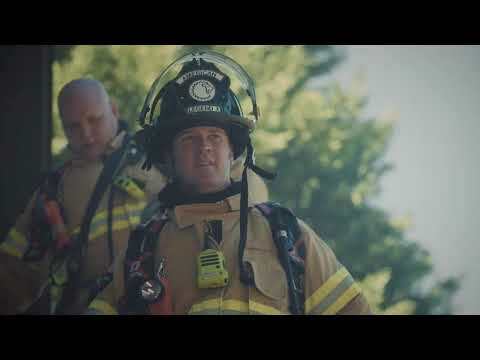 Afford firefighters peace of mind knowing that the SCBA is going to perform in the toughest environments. The easy-to-remove harness allows for cleaning and decontamination after use, while also improving serviceability. 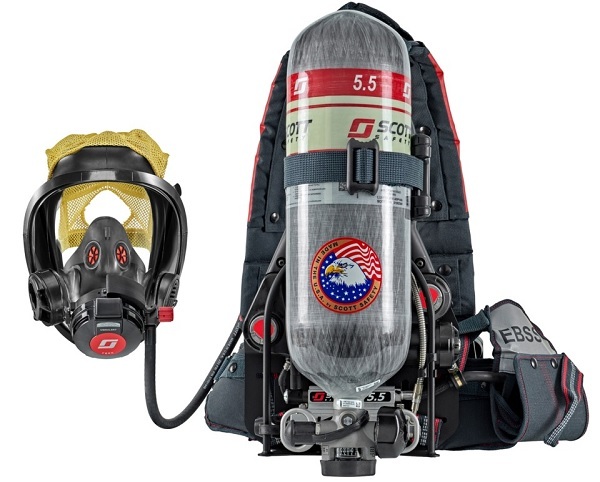 Offer greater resistance to chemical and water absorption to help minimize contamination; Improved durability to withstand the rigors of the fireground; Enhanced SCBA ergonomics to help reduce user fatigue and maximize comfort. 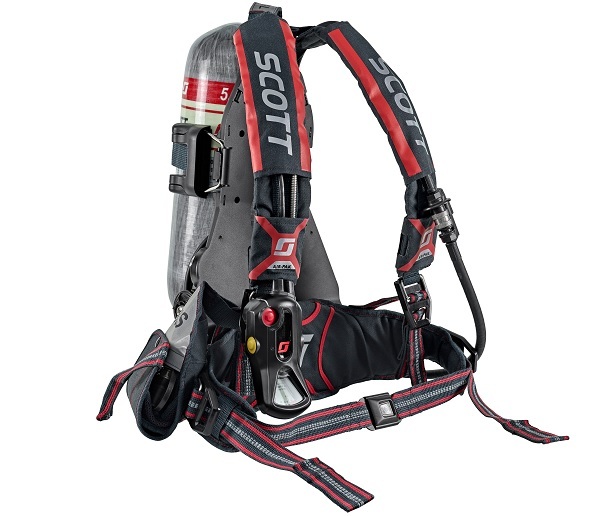 Reflective webbing delivers heightened visibility of the SCBA when operating in low light conditions, improving safety and accountability on the fireground. Promotes greater range of motion to the firefighter, while transferring weight to the hips for a more balanced load; minimizes wear and tear commonly found with mechanical articulation.Superior breathability offers minimal breathing resistance to help reduce user burden and improve operational efficiencies. 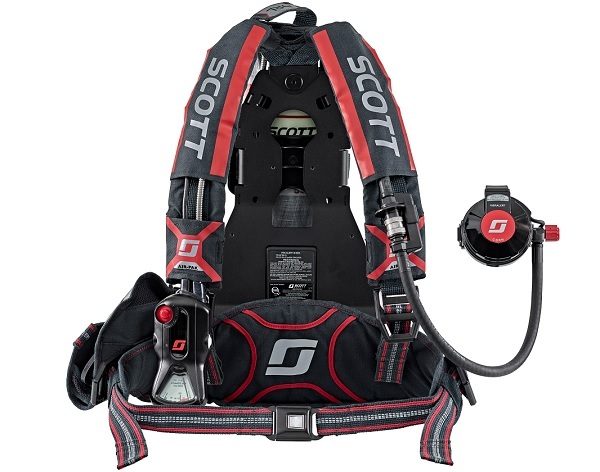 Provides wireless, bi-directional communication between the firefighter and incident command (using Scott Connect Monitor Pro) to help improve fireground accountability and communication, and the new buckle design provides firm hold to prevent inadvertent loosening of shoulder and waist straps, maintaining secure fit of SCBA on the firefighter. The integrated drag rescue loop provides a horizontal pull strength of 1000 lbs to assist with rescuing a downed firefighter. 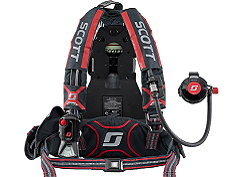 Provides visual and audible alerts (using Scott Connect Monitor Pro) to notify Incident command (I/C) of a no flow condition from a firefighter’s SCBA during a full-alarm PASS activation. “Buddy” Lights provide a 360° view of the firefighter’s air pressure and PASS status, improving safety and accountability on the fireground. Offers lightweight design with added durability to withstand the rigors of the fireground.